2. Whisk together flaxseed meal and water; set aside for 5-10 minutes. 3. Mix together whole wheat flour, baking soda, baking powder, apple pie spice and salt in a medium bowl. 4. In a separate medium bowl, mix together flax eggs (flaxseed/water mixture), maple syrup, coconut oil, applesauce and vanilla. 7. Spray muffin pan with cooking spray and spoon mixture evenly into 12 muffin tins. 8. 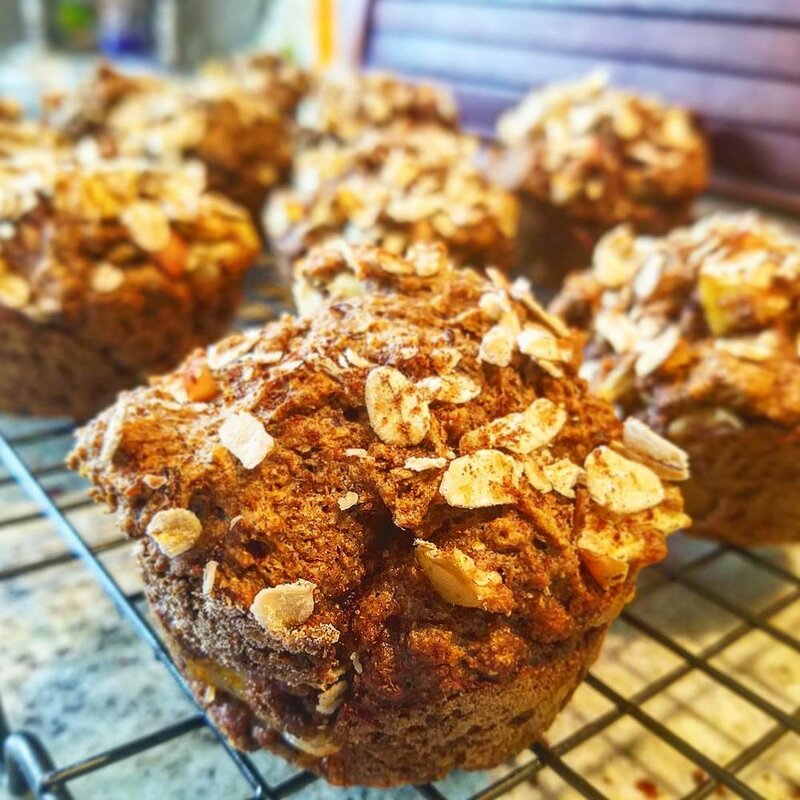 Sprinkle rolled oats over each muffin. 9. Bake muffins for 15-20 minutes, or until you can stick a toothpick into the center of one and it comes out clean.